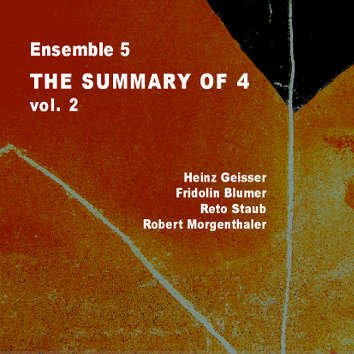 This CD is Heinz Geisser's twelve's title in the Leo Records catalogue. It is a continuation of the previously released CD in March, 2014, with the same title and the same line-up. As on the previous recordings, the group demonstrates extraordinary intuitiveness. As Glen Astarita wrote: "There is a quote from the 1915 film classic Birth of a Nation that seems conducive to the holistic aspect of Ensemble 5, perhaps summing up its collective sense of purpose and freely extrapolated productivity: "Liberty and Union, one and inseparable, now and forever!"